This week has been so “off” for me. After a crazy busy weekend last weekend, to fourth of July in the middle of the week, it feels like we had many Fridays this week! I am starting something new on Fridays now! I will be sharing 5 things I am loving or have loved over the last week. I would love to hear if you love these same things, or what you are loving! 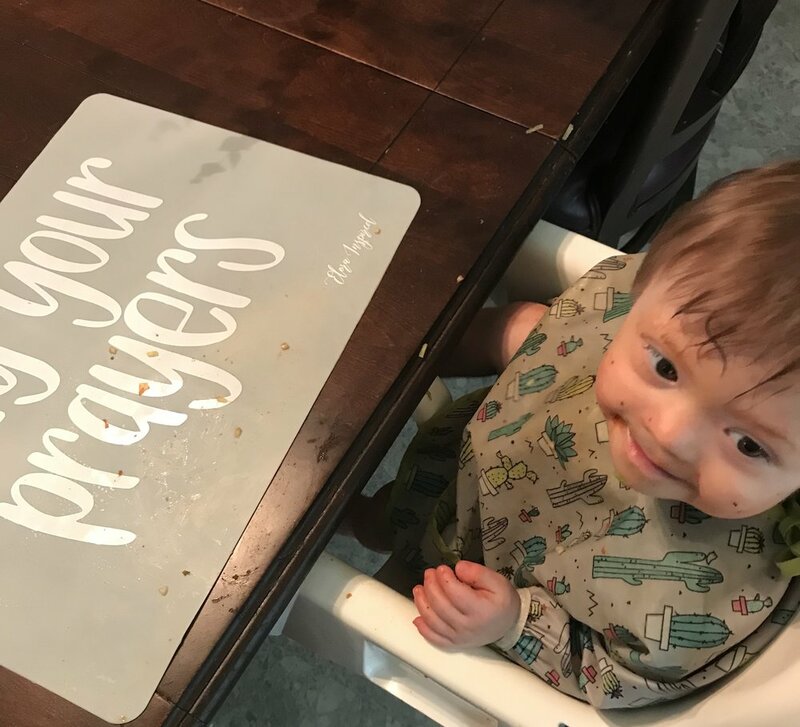 Our favorite placemat after spaghetti night! 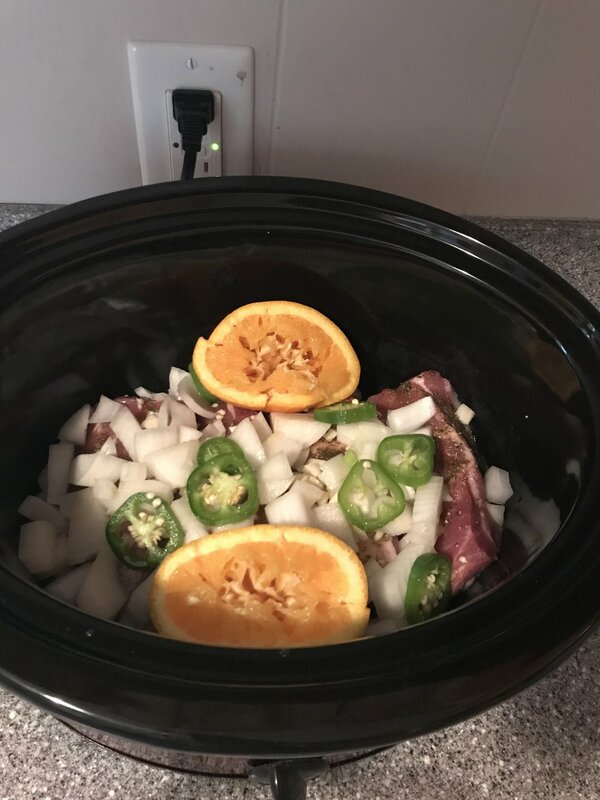 Carnitas recipe with street taco tortillas- I made these amazing carnitas for friends on Saturday night, then took them Bible study on Sunday- and they were a hit both times. And to make them even better, I served them with the tiny street taco sized corn tortillas on Sunday. They make the perfect appetizer size! Check them out- I have only found them at Kroger. Won’t you be my Neighbor- I am still processing all of this goodness. I plan to do a full review later on- but I want to tell you to GO SEE IT. Mr. Rogers was my FAVORITE show as a child, and my love of Fred Rogers is strong. I am trying to get my boys to love him as well. Just go see this movie. It is a gift, and I can’t help but think of how proud he would be of it. Also, pack your tissues. You will need them. Medical medium instagram- I started following the medical medium on instagram when my friend Katie sent over an article he wrote. Y’all I love this guy! He is so wise, and all about using foods to heal your body. And if you know me, you know I would rather use foods/herbs than meds to heal our body. No hear me, both of my kids are on meds for things, but we do as much naturally as we can. If you are looking for a place to start, check out his celery juice and heavy metal detox smoothies. I keep trying to order his books, but they sell out on amazon SO fast. Holy Grail Mascara- I feel like I may have mentioned this before- but it is worth mentioning again. I have been using this mascara for about a year, and I am still loving it. The L’oreal Voluminous Lash Paradise mascara is the best. It adds SO much volume and length without clumping. I have naturally long lashes, so I need more volume than length from my mascara. I have seen mixed reviews on it, but I have had nothing but good experiences. Well those are 5 things I am loving on this Friday- I would love to hear about what you are loving. Hope you have a wonderful weekend!